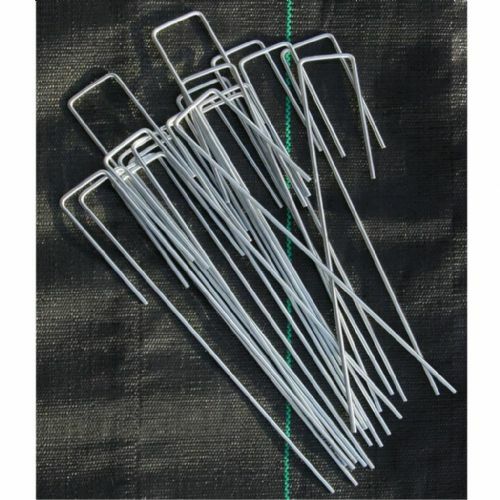 Weed Fabric Pegs | Anchor Pins for use with fleece and garden fabric. Anchor & Ground Cover Pegs are the ideal way to secure and protect the longevity of your Ground Covers; whether they are used with the thinner 50gsm or more heavy duty 100gsm membrane, the pegs are sturdy enough to withstand harsh weather conditions, pedestrian activity and many different types of ground and soil structure. 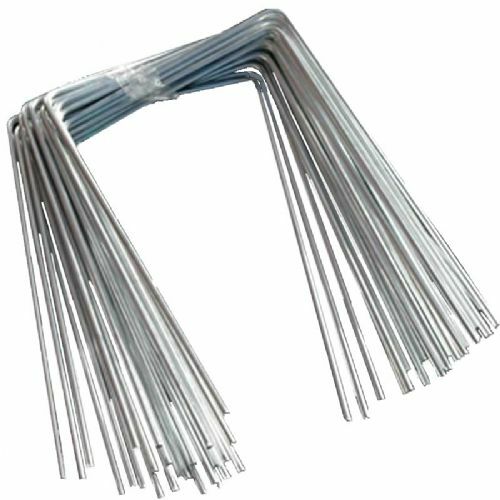 There are three types of Anchor Pins available, L-Shaped Steel and Metal Staples suitable for harder ground and Plastic ones suitable for softer ground types. 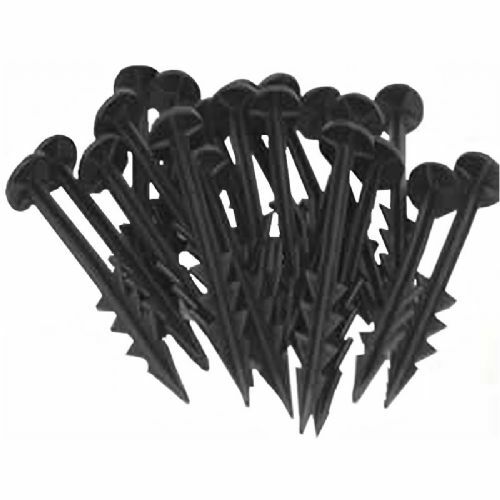 Fashioned from recycled material the Plastic style pins are 15cm long and are of barbed design, this provides extra grip in the soil and keeps the chosen product secure. 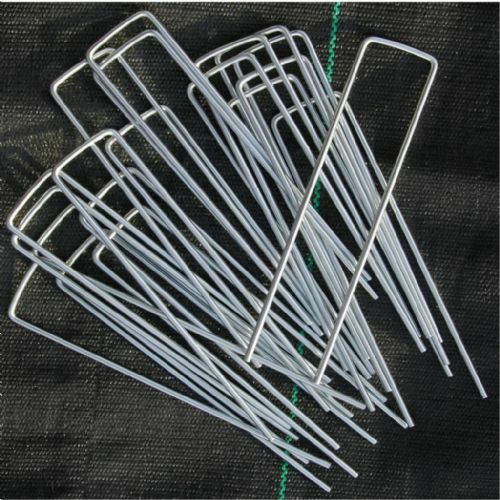 The Staples are 6" long and 4" wide and are useful for extra protection in harder or stony ground. These products are suitable for use with frost protection fleece, various garden meshes, rubber matting around playgrounds, jute and much more. For geotextiles usually it is advised to place at least one fixing every square metre, this will be enough to secure the fabric for use.